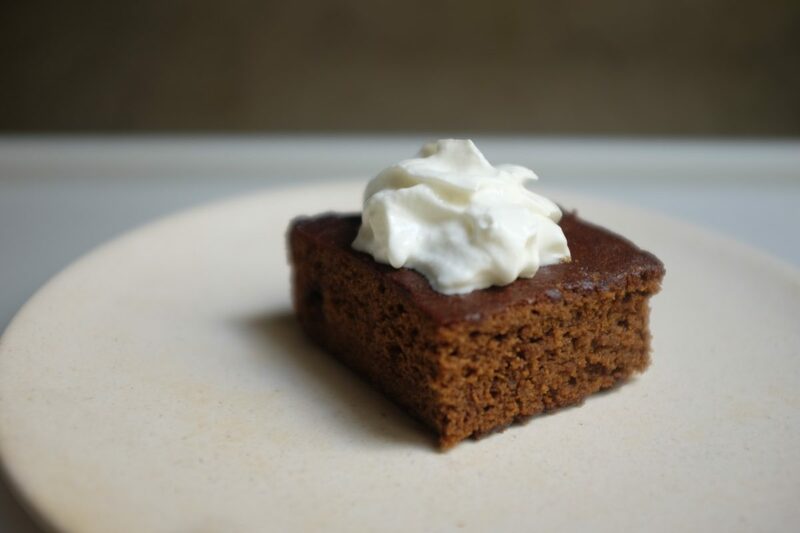 You are going to love this new spin on gingerbread. I’m serving this up at the next family get together during the Holiday season. After the great response from other recipes using Colman’s Mustard over Thanksgiving I know this Mustard Gingerbread will be a hit! Preheat oven to 350°F. Grease a 9-ince square baking pan. Using an electric mixer, beat together the butter and brown sugar until light and creamy. Beat in the molasses and eggs until well combined. Reduce speed to low and sift in the flour, baking soda, spices, Colman’s Dry Mustard Powder, and salt. Mix until smooth, then add hot coffee and stir until combined. Pour the batter into the prepared pan and bake until a wooden pick or skewer inserted in center of the cake comes out clean, 30 to 40 minutes. Cool on a rack. Cut into 9 squares. Top with whipped cream or vanilla ice cream or dust with powdered sugar.